HOME / TRENDING / HERE’S WHY HARRY POTTER FANS ARE GOING TO BE REALLY HAPPY TOMORROW! What’s the one thing all of us love the most? No, not food! Not coffee either! It’s the one thing that can connects us like no other thing can, just because it’s so magical! Yup, now you are right! It’s Harry Potter, of course! As Harry Potter fans, we all know that September is a pretty exciting month, because the Hogwarts Express leaves on the first day of the month! You’d be lying if you weren’t busy Instagramming pictures of your Harry Potter books with the caption ‘I’d rather be at Hogwarts’ on that day! You were, right? See, we know you so well! But, wait, coming back to the topic at hand, author J.K. Rowling has given us one more reason to be excited about this month. What’s that, you ask? Well, it’s three new Harry Potter books! No, you are not reading that wrong! Here’s more about these latest books about the wizarding world! Pottermore, the hub for everything related to Harry Potter, is launching Pottermore Presents, a series of ebooks, on September 6. 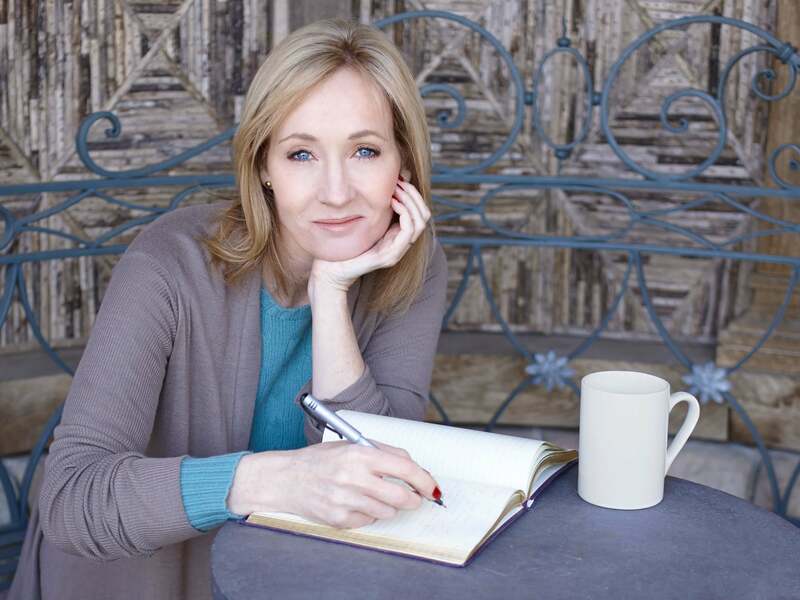 This series will bring us more stories from the website’s archives along with original writings from J.K. Rowling herself! So basically it’s just more fodder on the wizarding world for Potterheads all over the globe! Hogwarts: An Incomplete and Unreliable Guide: This book will satisfy all your questions about the famous wizarding school that Harry Potter and his friends attend. Definitely expect more information on the school ghosts! Short Stories from Hogwarts of Power, Politics and Pesky Poltergeists: Expect this one to be darker! From insights into the horrors of Azkaban to a story on Professor Slughorn, this collection has definitely managed to increase our curiosity! And lastly, Short Stories from Hogwarts of Heroism, Hardship and Dangerous Hobbies: Guys, there’s a story on Minerva McGonagall in this! We repeat, MINERVA MCGONAGALL! Thank you, J.K. Rowling, for probably the best gift we could have asked for! Excited? We feel you, buddy! The ebooks come out tomorrow, so needless to say, we’ll be all dying of excitement! Have a magical reading session!